Microsoft, the developers of the Xbox One gaming console, recently announced a contest where the first prize winner will receive $1000 (US). 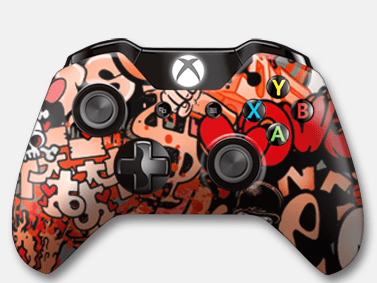 Aptly dubbed the “Take Control” challenge, the contest will have gamers (or designers in this case) coming up with new and creative designs for the Xbox One controller. The best designs will be selected and the winners announced early next year. Entering the “Take Control” competition is as easy as visiting the official contest website and downloading the template files (available for both Mac and Windows pc’s). Contained within the downloaded folder are two image files showing an outline of the Xbox One controller with varying levels of detail, a PSD file with the layered image, and a couple of other files of curious purpose (.ai, .ds_store and .eps files). After they have completed their designs, contestants will have until the 31st of December to upload their submissions (of which they are only allowed 3) to the contest website. After a brief period of deliberation, the winners of the contest will be announced sometime between the 13th and 17th of January. The grand prize winner will receive $1000 in prize money. There will also be a “Peoples Choice” award handed out to the contestant who manages to receive the most votes from the community. Additionally, there will also be a consolation prize worth $500 that will be given to nine lucky designers for their efforts. Amazingly, at the time of this post, there are already over 200 (admittedly impressive) entries submitted to the contest page. Gamers can visit the contest gallery page to view the most recent entries. Are you going to enter the “Take Control” competition? What do you think of the designs that you have been submitted so far ? Tell us in the comments section below, and be sure to follow CP on Twitter, Facebook and Google Plus to stay informed about the latest entertainment news and opportunities to save big on your favorite TV shows, movies and games.